Estacada Community Outreach will host a free breakfast from 8-11 a.m. on Saturday, Feb. 16, at a new location at Clackamas Valley Baptist Church, 29275 S.E. Eagle Creek Road. Free shuttle service is available to and from the church. Pick up times at City Hall are 8 a.m., 9 a.m. and 10 a.m. Drop off times at City Hall are 9 a.m., 10 a.m. and 11 a.m. 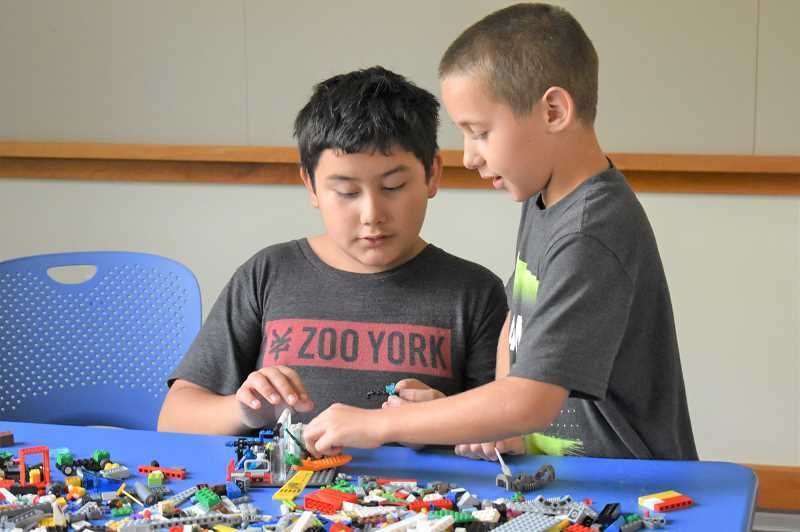 The Lego Club will meet from 11 a.m. to 1 p.m. Saturday, Feb. 16. This program, scheduled for 6:30-8 p.m. Wednesday, Feb. 20, will feature photos and maps to illustrate what pioneers saw while they traveled the flood channels carved during the Ice Age. From 6:30-6 p.m. Wednesday, March 6, Brian Fergus of Woodstock Ukulele Studio will teach beginners how to play the instrument and even learn a few songs. The event is designed for 20 students ages 18 and older, and registration is required. Those who have a ukulele should bring it, but ukuleles will be provided for those who do not have them. The Estacada City Council will meet at 7 p.m. Monday, Feb. 11, at City Hall, 475 S.E. Main St. Call 503-630-8270. The Estacada Rural Fire District Board of Directors meet at 7 p.m. Thursday, Feb. 21, at 261 S.E. Jeremy Loveless Ave.